Decreased fluid intake can exacerbate age-related problems, such as declining kidney function, causing seniors’ health to worsen and sometimes landing them in the hospital. When Walter, 94, got the stomach flu, he became so weak from vomiting that he was taken to the hospital, where he received fluids. A week later he was back in the hospital after falling in his assisted-living apartment. After the second hospital visit, unable to stand on his own, he entered a nursing care facility. It’s likely that, in the intervening week between hospital visits, Walter, who suffers from early dementia, didn’t know to keep drinking water or other fluids and stay hydrated. In a two-week period, he lost 20 pounds and had to start using a wheelchair. Dehydration, which occurs when someone loses more water than they take in, is a serious problem, and a frequent cause of hospitalization, especially for the elderly. Depending on the definition of dehydration, between 6 and 30 percent of people aged 65 years and older who are hospitalized are dehydrated (International Journal of Preventive Medicine). 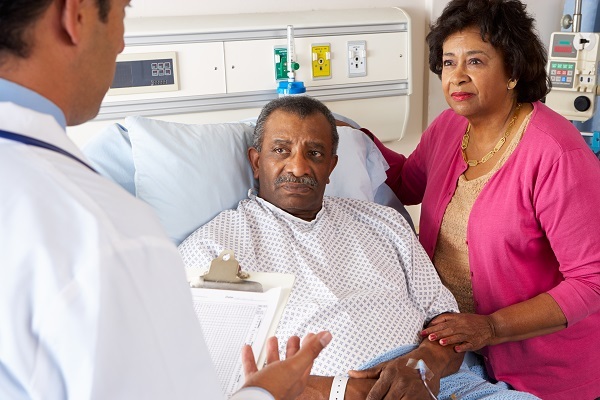 In a related study, researchers found that 48 percent of older adults admitted into hospitals after treatment at emergency departments showed signs of dehydration (Parent Giving). Water loss. As we age, the body doesn’t hold as much water because we lose muscle mass, while our fat cells increase. By the time we’re 80, we have 15 percent less water than when we were 20, making our bodies more vulnerable to dehydration from even minor fluid loss. Kidney decline. 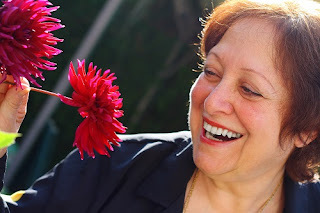 Starting around age 50, and becoming more serious around age 70, the kidneys begin to lose some of their ability to remove toxins from the blood. Because kidneys are less able to concentrate urine, we expel water more quickly as we age. Less sensation of thirst. Older people lose the sensation of being thirsty, much as our taste buds decrease as we age. Also, some seniors may drink less because they fear incontinence. Medications. Drugs such as diuretics, laxatives and angiotensin-converting enzyme inhibitors (used to treat high blood pressure, among other conditions) can cause more frequent urination or perspiration, which interferes with fluid balance. Psychotropic medications, such as antipsychotics, cause dryness of the mouth, constipation or urinary retention, which can affect hydration. Additionally, older adults are often taking several medications at once, further complicating the problem. Illness. Vomiting is a major cause of dehydration, because of fluid loss. A fever has the same effect, and generally the higher your fever, the more dehydrated you may become. A combination of diarrhea and vomiting, as in Walter’s case, can increase the risk of serious health issues. Older adults also tend to eat less, which can also mean less liquid intake. Nursing homes present their own challenges for hydration of elderly residents (see sidebar). Swelling of the brain (cerebral edema). Sometimes, when you're getting fluids after being dehydrated, the body tries to pull too much water back into your cells. This can cause some cells to swell and rupture. The consequences are especially grave when brain cells are affected. Seizures. Electrolytes—such as potassium and sodium—help carry electrical signals from cell to cell. If your electrolytes are out of balance, normal electrical messages can become mixed up, which can lead to involuntary muscle contractions and sometimes a loss of consciousness. Low blood volume shock (hypovolemic shock). This is one of the most serious, and sometimes life-threatening, complications of dehydration. It occurs when low blood volume causes a drop in blood pressure and a decrease in the amount of oxygen in your body. Heat injury. If you don't drink enough fluids when exercising vigorously and perspiring heavily, you may end up with a heat injury, ranging in severity from mild heat cramps to heat exhaustion, or potentially life-threatening heatstroke. One researcher compares dehydration to a pump trying to work with less fluid, which puts a greater strain on the heart. For older adults with serious medical conditions, dehydration has been linked to increased rates of death. Despite what seems a trivial matter, the costs of not treating dehydration early can be high: a U.S. study in 1999 evaluated the avoidable costs of hospitalizations due to dehydration at $1.14 billion (from Hydration for Health). To make sure you or someone you’re caring for is staying hydrated, the most important factor is to drink plenty of fluids. Standard advice is to drink at least five 8-ounce glasses of water daily. One formula is to drink the number of ounces of water daily that is equivalent to one-third of the person’s body weight in pounds. For example, a 150-pound woman would need 50 ounces of water daily, or about six 8-ounce glasses of water. For nursing-home patients, the threat of dehydration is high. Those who are weak or frail often can’t get up on their own to drink. Studies of nursing homes have shown that liquids were often inaccessible to residents. For example, some nursing homes did not offer the proper kind of drinking cup, or caregivers placed the cup on a bedside table out of the patient’s reach. In one study of residents in a long-term-care facility, author Janet Mentes reported that 31 percent of patients were dehydrated (American Journal of Nursing). 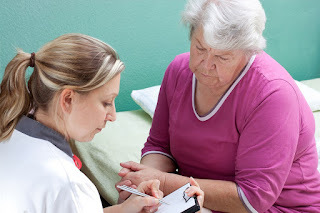 In fact, dehydration is among the most common forms of elder abuse and neglect associated with assisted-living facilities, according to the Nursing Home Abuse Guide. In one study, researchers found that nearly all of the 40 patients monitored were inadequately hydrated. Most nursing homes experience high support-staff turnover, and employees are not always well trained, especially on the need to keep patients hydrated. If your loved one is in a nursing home, make sure they are getting enough fluids every day. Let the staff know about vision and other physical impairments, as well as if the person needs to have thickened liquids. Although water is the best beverage choice, to motivate someone to drink, you may need to cater to their preferences, such as fruit juice. (However, if the individual is diabetic, caution should be used because of blood glucose values and dietary restriction of sugars) or decaffeinated coffee and tea. Avoid alcohol and caffeine, which have a diuretic effect, causing the kidneys to excrete more water. Caregivers should ensure the older person they are caring for has water by their side at all times—for example, on a bed stand or next to their favorite chair—especially if they do not walk much. In addition, if the individual has a swallowing problem and needs thickened fluids, this needs to be watched carefully to avoid aspiration of liquids into the lungs. If dehydration is suspected, because the person is not drinking or does not have a normal urine output, a temporary solution could be a sports drink, which has electrolytes needed by the body. However, caution needs to be taken to not over-consume because of the sports drink’s higher sodium content. Eat high-water-content fruits such as watermelon, berries, grapes and peaches. Water-rich vegetable options include tomatoes, lettuce and summer squash. Soups are also a good way to sneak extra liquid into a diet. Check urine color to make sure it is clear or pale yellow. Dark urine or infrequent urination is a classic sign of dehydration, as is decreased urination and urine output. There are many factors to weigh when buying a computer, but the first one is to decide what kind of tasks you plan on doing with your computer. If you’re buying a new computer (or even your first one), how do you decide? The first priority is to figure out what you need or want: a place to check email and your Facebook page or to play games? Or do you require something more serious, a place to write your blog or edit your photos? Your answer will dictate whether you need a more powerful desktop computer or a smaller and more portable laptop. You may already know whether you prefer an Apple or Windows operating system (think of it as the mastermind behind your computer). Windows is available with various computer brands, while Apple uses its own system. Apple computers are generally more expensive, though most computer pros consider them to be the best. When deciding between a desktop or laptop, there are several factors to consider. Desktops are bigger and generally have more power and storage, so they are better for complex tasks, such as photo editing or playing games. The separate monitor (display screen) can be as big as you want because you don’t have to carry it around. Though larger, desktops are less expensive than laptops because it costs more to make smaller components. With a desktop, you can change out the parts when new technology comes along, which is not possible with laptops. Because of its smaller size, a laptop computer is more portable, with a built-in keyboard, mouse and monitor, and its functions are more limited than with a desktop. If you don’t need much more than an Internet browser or word processor, a laptop would do the job. Keep in mind that a laptop uses built-in, rechargeable battery power when you are not plugged in to an electrical outlet. When choosing a laptop, consider the battery life, as different models boast varying battery power. One popular type of laptop is the tablet, such as Apple’s iPad, which is smaller and even more portable than a traditional laptop. A tablet will let you check your email, get on the Internet, watch movies, listen to music, read e-books and take photos. Typically, instead of a keyboard, tablets use a touch screen, which allows only for simple tasks. They have less power than a laptop, so you can’t do all the things you would do on a laptop or desktop, such as data entry or photo and video editing. Tablets have a smaller storage space than laptops (16 to 128 gigabytes [GB] compared to 500 GB or more for a laptop). However, tablets are generally more affordable and have a longer battery life. 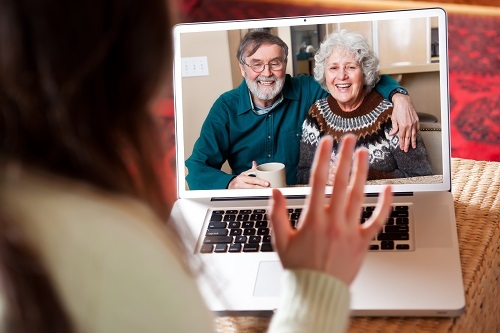 Older adults, especially those who don’t use their computers for complex tasks, find the tablets more user-friendly and like the portable option. Storage. All your data—photos, music, programs, documents—are stored on your computer’s hard drive, so the more data you have, the bigger the hard drive you’ll need. Average users need about 500 GB. Memory/RAM. Temporary information is stored on your computer’s RAM, so if you have a lot of programs running, a sufficient amount of RAM will keep your computer humming along without crashing or slowing down. RAM is measured in GB, so the more storage you have, the faster your computer will be. Processor. This is the brains of the computer and is measured in gigahertz (GHz). So, the bigger the number of GHz, the more data the computer can process in a shorter amount of time. How to Choose Your Next Computer is a featured article in the March 2016 Senior Spirit newsletter. While pundits wrestle with what to call those who are getting older— seniors, elders, super adults?—a poll showed that most persons who are aging don’t really care. 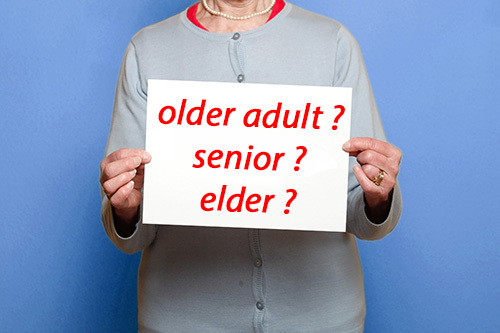 In the last few years, the media, in particular, have been looking for a new term for “old people.” Elders? Senior citizens? The problem, most agree, is that older adults—that’s us—don’t think of themselves as old. Marketers avoid using any reference to age, instead pitching a new lifestyle. Elderhostel got rid of “elder” and became Road Scholar. Those who know the code can usually figure out the references. 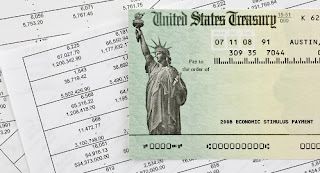 One problem is that one term or word, like “seniors,” is used to encapsulate everyone from 65 to 100 or more, which doesn’t accurately reflect the changing lives of everyone in that age group. Another problem is that what we think of as old or aging is being revised upward, as people live longer. Maybe the most difficult problem in this society is that any connotation of “getting up there” is viewed in negative terms. Maybe we just need to stop using labels or start thinking about aging in positive terms. What is your prefered term for people over the age of 65? What’s in a Name? 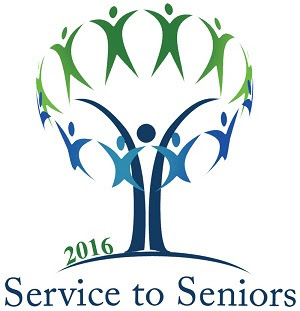 is a featured article in the March 2016 Senior Spirit newsletter. Kurt Russell started his acting career early. His first roles were as a child in television series, including a lead role in the Western series The Travels of Jaimie McPheeters (1963–64). In the late 1960s, he signed a 10-year contract with Walt Disney Company, where he became one of the studio's top stars of the 1970s. As an adult, he starred in Silkwood (1983), for which he was nominated for a Golden Globe Award for best supporting actor. During the 1980s, he starred in several films by director John Carpenter, including anti-hero roles such as an army hero-turned-robber in the futuristic action film Escape from New York and its 1996 sequel Escape from L.A., an Antarctic helicopter pilot in the horror film The Thing (1982) and a truck driver in the kung-fu comedy action film Big Trouble in Little China (1986), all of which have become cult films. He was nominated for an Emmy Award for the television film Elvis (1979), which Carpenter also directed. 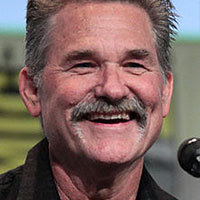 In 1993, he starred as Wyatt Earp in the western film Tombstone, and in 1994 in the military science-fiction film Stargate. In the mid-2000s, his portrayal of U.S. Olympic hockey coach Herb Brooks in Miracle (2004) won critics’ praise. In 2006, he appeared in the disaster-thriller Poseidon and, in 2007, in Quentin Tarantino's Death Proof segment from the film Grindhouse. In 2015, Russell starred in the western films Bone Tomahawk and The Hateful Eight. Since 1984, he has been in a relationship with actress/comedian Goldie Hawn. 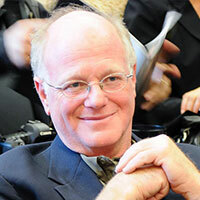 Ben Cohen is co-founder of the ice cream company Ben & Jerry's. Raised in the town of Merrick on Long Island, Cohen first met and befriended his future business partner Jerry Greenfield in a seventh grade high school gym class in 1963. In his senior year, Cohen found work as an ice cream store clerk before heading off to attend college. Over the next decade, Cohen mixed further education with various menial labor jobs, including a McDonald's cashier, before becoming a craft teacher at a private school for emotionally disturbed adolescents. At the school, he began experimenting with making his own ice cream. Around 1977, Cohen and Greenfield opened Ben & Jerry's Homemade Ice Cream Parlor in Burlington, Vt. In part, their distinctive style of ice cream derived from Cohen’s anosmia—his loss of smell and near-loss of taste—which required him to add larger and larger chunks of chocolate and other sweets to the ice cream to satisfy his need for texture in food. The first store’s popularity resulted in a nationwide business and one of the largest ice cream companies in the United States. In 1996, Cohen resigned as chief executive officer and has not been actively involved with the company since the Unilever acquisition in 2000, apart from his membership on the advisory board. Instead, he channeled his newfound wealth into various social causes, generally through the Ben & Jerry's Foundation. The foundation receives 7.5 percent of all Ben & Jerry's pretax profits and distributes funds to organizations such as the Committee for a Better New Orleans and Communities for Clean Water. 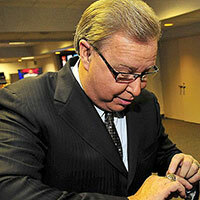 Ron Jaworski is a former football quarterback and currently an NFL analyst on ESPN. Starting out with the Los Angeles Rams in 1973, he led the team to a playoff win in 1977. Traded to the Philadelphia Eagles, he became the leader on offense in 1980 and was named the UPI “NFL Player of the Year.” He left the Eagles in 1985 and went to the Kansas City Chiefs in 1989 where, at one point, he and center Mike Webster formed the second oldest starting QB-center combo in NFL history. Following that season, he retired as an NFL player, with the record (since broken) of most consecutive starts by a quarterback. In 1987, while still an NFL player, Jaworski started his broadcasting career as the sports director on a morning show in Orange County, California, and worked for other shows before becoming part of ESPN's broadcasting team on Monday Night Football in 2006. In 2012, he left that position to become an NFL analyst on other ESPN programs. Jaworski is part owner and team president of the Philadelphia Soul of the Arena Football League and owns and operates several country clubs in New Jersey. In 2010, his first book, The Games That Changed the Game, was published, which highlights seven games in NFL history that greatly changed the strategies and tactics used in NFL football. 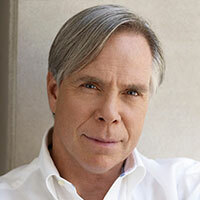 Tommy Hilfiger, a fashion designer, is best known for founding the lifestyle clothing brand Tommy Hilfiger Corp. in 1985. He started his career by co-founding a chain of clothing and record stores in upstate New York in the 1970s, for which he designed preppy sportswear for his own eponymous menswear line in the 1980s. The company later expanded into women's clothing and various luxury items, such as perfumes, and went public in 1992. Hilfiger's collections are often influenced by the fashion of music subcultures and marketed in connection with the music industry, with celebrities such as American R&B icon Aaliyahin the 1990s. In 2005, the CBS reality show The Cut featured contestants competing for a design job with Hilfiger. In 2006, he sold his company for $1.6 billion to Apax Partners, and it was sold again in 2010 to Phillips-Van Heusen for $3 billion. Hilfiger remains the company’s principal designer, leading the design teams and overseeing the entire creative process. In 2012, he was awarded the Geoffrey Beene Lifetime Achievement Award from the Council of Fashion Designers of America. FAMOUS & 65 is a featured article in the March 2016 Senior Spirit newsletter.